The Lexington Mirror is a dazzling piece of curved, geometric shaped mirrored artwork. 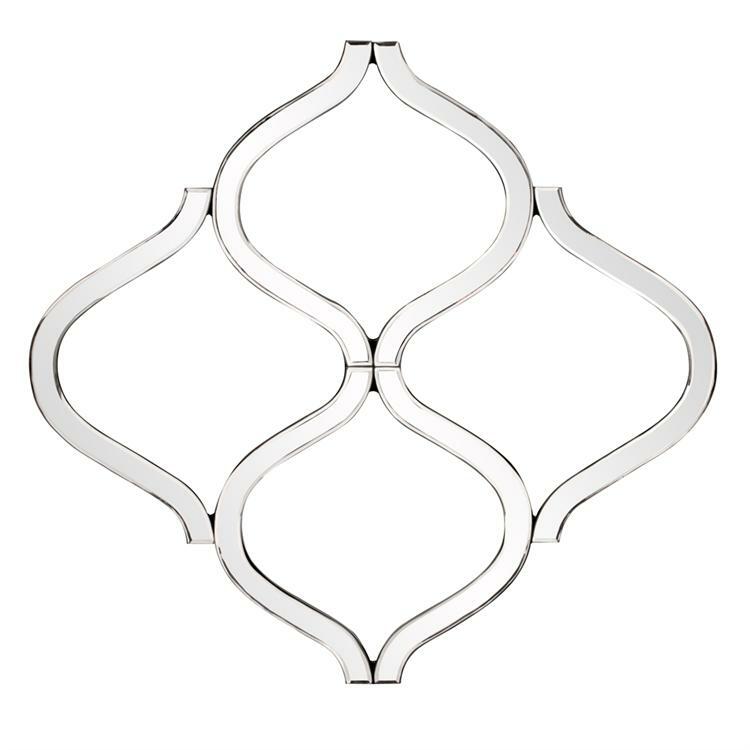 The piece is made up of a network of interlocking mirrored curvy shapes creating a lovely open work, lattice design. On its own or in multiples, the Lexington Mirror is a perfect accent piece for any deisgn. Hang in a square or diamond orientation. Each mirrored panel on this piece has a small bevel adding to its beauty and style. Customizable for larger orders.